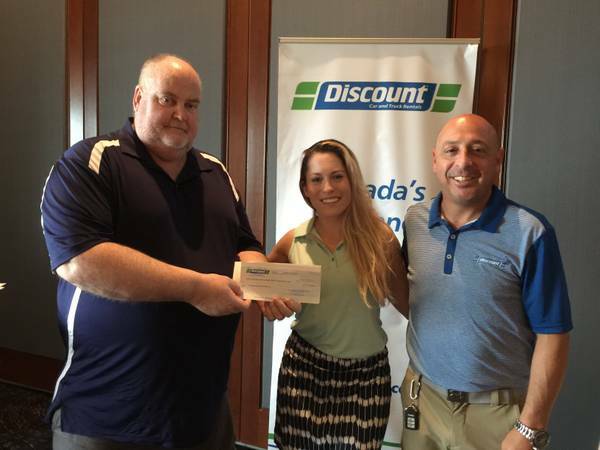 Markham, Ontario -- August 16, 2016 -- Discount Car and Truck Rentals recently held its 26th annual charity golf tournament at Angus Glen Golf Club in Markham, Ontario. Industry stakeholders, including insurance, collision repair, corporate partners and auto manufacturer professionals took part in this year’s tournament, helping to raise approximately $8,000 for the Chase McEachern Tribute Fund. The money raised will go towards helping the Chase McEachern Tribute Fund fulfill its chief objective. Established following the untimely death of the 11-year old boy in February 2006, the Fund’s mission is to carry out "Chase’s vision" of ensuring all schools and hockey arenas throughout the country have access to an automated external defibrillator (AED). To date, the organization has placed more than 700 AEDs in locations across Ontario. Speaking to Collision Repair magazine, Adam Ceifets, Director, National Insurance Sales with Discount, said the cause is something that everyone at Discount Car and Truck Rentals is incredibly passionate about. For more information, please visit discountcar.com.